What Is 'Stan' Culture And How Did It Help Ariana Grande's 'Thank u, next'? In a culture where people can be ‘cancelled’ in public esteem, 'Stans' can make or break a career. Music 29 November, 2018 . Written by Meg Mulcahy. A couple of weeks ago, Spotify announced that Ariana Grande broke their global record for a single’s biggest release day with her brand new track ‘Thank u, next’ which became the fastest song in history to reach 100 million plays. She dropped this into our playlists overnight, just after her famous split with SNL presenter fiancé Pete Davidson and independently of her brand new album, which only came out in August this year, (also breaking Spotify’s debut week streaming record for a female artist). Of course, no one knows how long this track was in the making, but Ariana was able to process enough feelings to drop a bop through the wreckage, while here I am editing the same writing for weeks with only the usual level of trauma. She initially released the song in some choice reactionary Tweets following an SNL appearance where Pete made light of his relationship track record and quickness to commit. Either that, or we were witnessing the birth of a breathless banger in real time. ‘I’m Into U’, Ariana, but this was no ‘Lemonade’ moment. There was nothing technically incredible about this song, but its circumstances were. While ‘Thank u, next’ is an undeniable anthem that has me humming how grateful I am for my own exes, its success is in no small part due to the star involved. The online world is soaked in ‘stan culture’; fandom evolving into a culture of intense social media following, idolisation and even protectionism. ‘Stan’ is a blend of the word ‘stalker’ and ‘fan’ or for those who remember, is closer to the subject of Eminem and Dido’s iconic 2000 collaboration ‘Stan’. Comments stanning cultural ‘queens’ pepper social media timelines from people praising their faves, clinging to tiny details that might give the illusion of shade to other celebs, subtle references, or hints of new music. 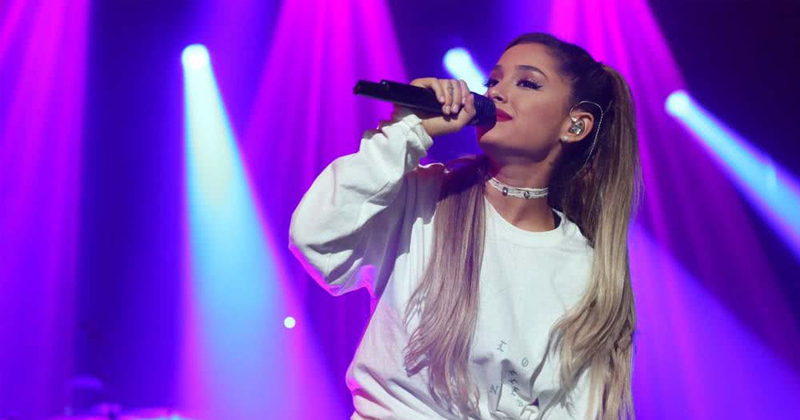 It’s no surprise that Ariana’s brand new single reached such stellar heights with an entire community of people who had been following along with her story. She is a woman who knows how to work social media; from her good nature to her relatable content and self-awareness of it. In a culture where people can be ‘cancelled’ in public esteem, ‘Stans’ can make or break a career. Grande is an undeniable talent and has achieved powerful success in her own right. But this song wasn’t just a cathartic release, it was a song for her fans- those who have been with her through the trials and heartaches of the past year; the bombing at her 2017 Manchester concert, her ex-boyfriend overdosing and subsequent backlash, and essentially losing the future she thought she had with Pete, who one of the singles on her new album is named after. The ‘Stans’ have lived and breathed each of these major life events with her. Had she not had such a passionate fanbase, it’s likely that she wouldn’t have been able to name her exes on ‘Thank u, next’ and give us such a detailed rundown of them on her timeline to such thunderous digital applause and instant meme sharing. Pop culture has entered an interesting era where it’s almost as if you have to be quite literally following an artist to be able to fully understand their lyrics, and it’s not just Ariana but Cardi B, Nicki Minaj and young problematic rappers like XXXtentacion. Ariana has done what has previously usually only featured in Hip Hop and Rap – direct callouts. Gone are the days of No Doubt’s ‘Don’t Speak’, ABBA’s ‘The Winner Takes It All’ and Fleetwood Mac’s ‘The Chain’ where the song stands alone and can be fully engaged with by anyone but fans could learn what the song is about through their own research. Even Katy Perry’s songs about Russell Brand aren’t blatant in their obviousness, so you could apply them to any point in your own terrible romantic history. Ariana’s giving us timestamps, dates and blood samples, and she’s able to because she’s endured such public ordeals and an online obsession with how she handles her personal demons. What’s more, she’s doing it with positivity and gratitude. She’s somehow sidestepped the raw breakup pettiness and is using stanning to her advantage, letting it boost her work for her. 29 November, 2018 . Written by Meg Mulcahy.